I’m writing up some articles about life in Cambodia. I don’t know when I’ll be done with them, so I’ll just keep posting them in these segments as I go. This article is number two. Click here to read part one. 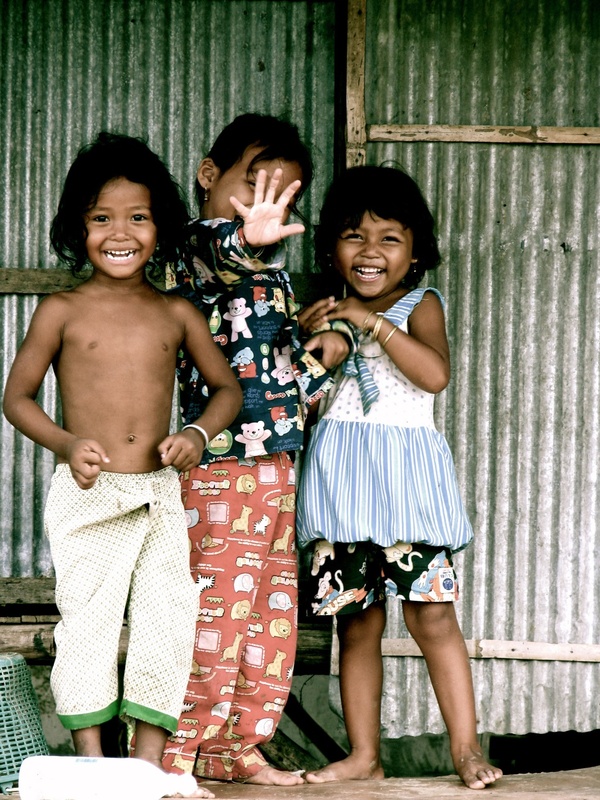 Fast forward to the future, and I’m raising a family in Cambodia. Cambodia: one of the poorest countries, sub-standard schools, unnerving health care, corrupt law enforcement, and dirt roads. 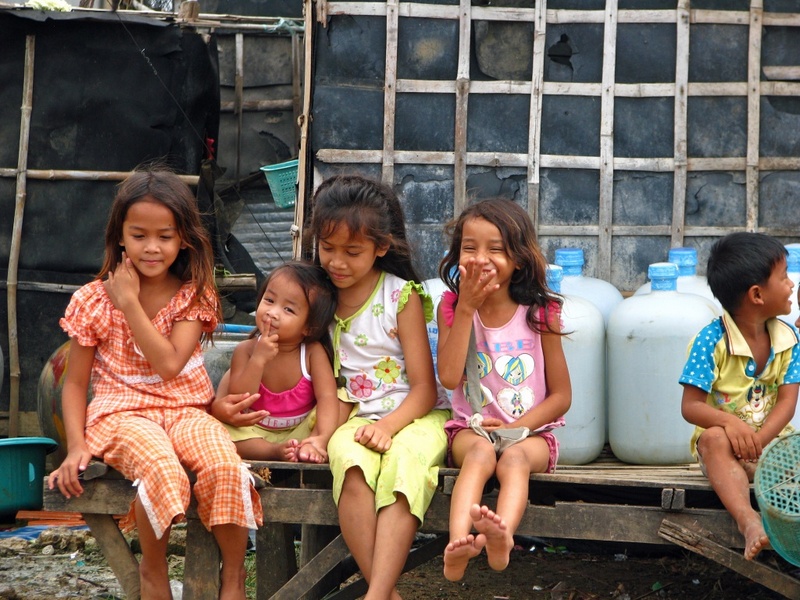 In Cambodia I encounter a whole new kind of poverty. This is third world poverty. This poverty is deeply pervasive, affecting the whole culture. If western poverty were compared to a light sunburn on one’s arm, Cambodian poverty would be a full body, third degree, heretic’s execution burn. And it’s not just material poverty, in fact materialistic lack is the smallest part of the problem. This is a deep spiritual poverty. If you’re hungering for a spiritual experience, don’t waste your time at the Angkor Wat temple, just visit a slum. The material world and the spiritual world intersect more strongly at places of extreme poverty. The utter spiritual poverty of man is seen and understood most clearly in places riddled with garbage and open sewage. I actually don’t live in the slum myself. My family and I live in a house that’s nicer than what we would live in if back in Canada. There are some missionaries who feel its necessary to live right in the mud with the locals, and that’s cool, I’m just not one of those missionaries. I don’t need to change who I am in order to share the gospel or make disciples. I’m not one of those prosperity gospel guys, but I’m not one of those poverty gospel guys either. Rich or poor, you’ve got to go where God calls you. Wealth is a relative concept anyways. This brings me to my son, Noah–the slum dog missionary kid. 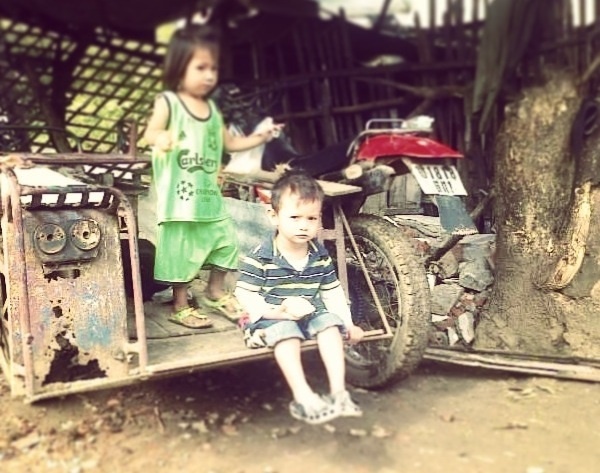 My wife’s parents, Noah’s grandparents do live in the slum, right in the heart of it. They have had opportunity to get out of it, but I think it is where they feel they belong for now. Noah’s grandmother, Srai Sim, serves God in her own way there. Noah spends a lot of his time at their home, eating, sleeping, playing with the oodles of kids in the area. He gets right into it and couldn’t care less about this place or that place. Noah, when he grows up, will be able to spend time with the rich and the poor, and not feel out of place in either situation. A long-term missionary friend told me recently that the US military likes to recruit missionary kids because they grow up in difficult, poverty stricken situations, and won’t be taken off guard when encountering it in some overseas combat mission. Makes sense. It is not a sheltered life, thank God. Noah is being, and will be, exposed to things that the wisest of the west have never dealt with. I’ve seen near mega-church pastors mortifyingly stripped of their “know-it-all-ness” when crossing the Poipet border into Cambodia. It’s very refreshing. A well rounded wisdom–that’s what Noah is growing up into here in the third world.